MainOpEdsA reply to "The US rabbis' ultimatum to Rabbi Drukman"
A reply to "The US rabbis' ultimatum to Rabbi Drukman"
We asked him to publicly acknowledge his error, to publicly apologize to Rav Elon’s victims (an apology is helpful for victims of sexual crimes to recover), to publicly apologize to Rav Lichtenstein and to Takanah. 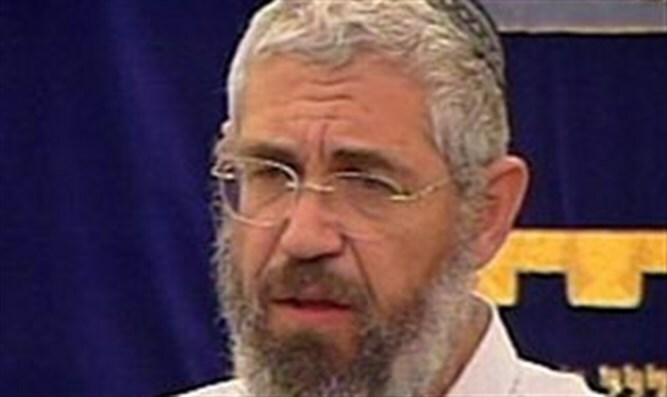 Rabbi Heshie Billet is the Rabbi of the Young Israel of Woodmere and a past president of the Rabbinical Council of America (RCA). 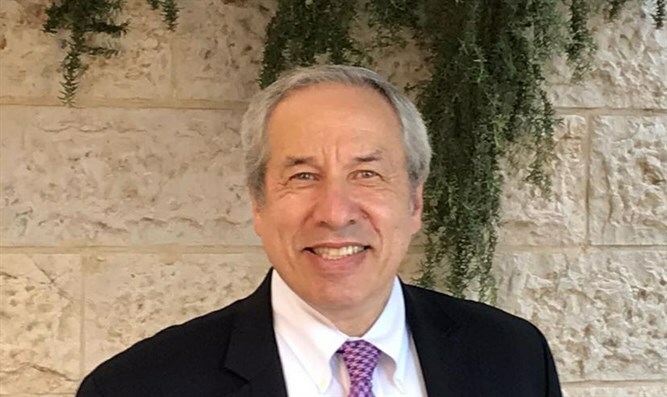 I am one of the nine US Rabbis castigated in an op-ed on Arutz Sheva for our public criticism of Rav Drukman in a JPost op ed for continuing to allow Rav Elon to teach although the Takanah Forum had shut down Rav Elon a decade ago after it became known that he had sexually assaulted young men who were under his supervision. I speak for myself and not my colleagues in this reply. I acknowledge that I am indeed a “rabbi of far less stature” than Rav Drukman. The article raises an important issue about foreign Rabbis rendering opinions from overseas about matters in Israel. We tried to address that question in our op ed in the JPost on Friday, January 25th, 2019. Many of us and many of our congregants have children studying in Yeshivot Bnei Akiva (YBA) either because they live in Israel or because they studying in a post high school program in a YBA Yeshiva. So the actions of Rav Drukman, the Rosh Yeshiva of YBA schools are relevant to us. In addition, sexual molestation is a crime similar to murder. I know of two families whose sons committed suicide as a result of being sexually molested. The well being of Jewish children and young adults anywhere in the world is everyone’s responsibility. Enabling a sexual abuser means that you are party to the crime even if your intentions were good. RavDrukman was trying to be kind to Rav Elon. But his first responsibility is to the victims of Rav Elon and neither to Rav Elon and nor to Rav Elon’s family who are innocent victims of his behavior, as well. I know that Rav Drukman was offered the opportunity to see the evidence that the forum had gathered a decade ago about Rav Elon and refused. And he went about enabling Rav Elon to continue his activities. First he taught in Or Etzion, Rav Drukman‘s Yeshiva and then he established his school in Migdal.. Rav Druckman visited Migdal to celebrate the dedication of a new Torah scroll to Rav Elon’s Bait Midrash. In violation of the Takanah Forum (and Rabbi Drukman's instructions to him, ed. ), he both taught and met with male students privately. I do know what Rav Lichtenstein ZT”L said publicly during his lifetime. He spoke in his yeshiva about the tragic Elon case and of the deeds perpetrated. He was careful to use ‘lashon neki’ah. His words could not have been clearer in a video interview with him and Rav Ariel that was recently released concerning the crimes of Rav Elon that the Forum dealt with a decade ago. There was a lengthy article in Kipa in 2010 in which Rav Lichtenstein’s perspective on the Elon tragedy is discussed in detail. The reason there is so much noise now about Rav Drukman’s errors with Rav Elon is because there are new cases of molestation by Rav Elon. Rav Elon confessed to Rav Drukman recently as he had to Rav Lichtenstein and Rav Ariel ten years earlier. By embracing Rav Elon, Rav Drukman inadvertently belittled the pain and suffering of his victims. Those abused and molested by Rav Elon in the last 10 years are a result of Rav Drukman enabling Rav Elon to resurrect himself since 2010. Rav Drukman acted appropriately following the recent allegations. But he was ten years too late. Some of the members of the Takanah Forum have been publicly very critical of Rav Drukman in the press. One example is a recent article by Rabbani tMalka Pietrokovski. We were the only ones who went to see the Rabbi personally before publishing the contents of our letter. We did not threaten any financial sanctions. We did not ask for his resignation. We asked for a response to our letter. Between the original letter sent to YBA and our visit with the rabbi he had six weeks to reply. The only “ultimatum” that was given was that we would publish the details of our letter if we received no reply. We visited with Rav Drukman three weeks after sending a letter to the executive director of YBA. We gave Rav Drukman a copy of our English letter and a Hebrew summary of the four requests that we were asking of him. Our tone was firm and respectful. We asked him to publicly acknowledge his error, to publicly apologize to Rav Elon’s victims (an apology is helpful for victims of sexual crimes to recover), to publicly apologize to Rav Lichtenstein and to Takanah, and to creat a professional set of standards protecting YBA students from sexual crimes. We asked for a reply to us in two weeks which we extended to three weeks. We begged for an appropriate reply. We got nothing! The Rabbi published a letter the night before our deadline which was very nuanced and said nothing definitive. In our tradition no human being is infallible. Not even a great Rabbi. When we err we have to repent. There are four steps: 1. Recognition of our mistake; 2. Specifying our sin verbally; 3. Regretting our mistake; 4. Making a resolution that in the future that our sin will not be repeated. Rav Ariel who is the head of the Takanah Forum recently said that Rav Drukman felt very badly about what had happened. Why can’t Rav Drukman himself say “I erred, I apologize to the victims, I apologize to Takanah, and I will engage professionals to draft a code of conduct for all YBA schools in cases of sexual assault and abuse. We are all supporters of the YBA network of schools. Their schools are of vital importance to raise a generation of Torah observant religious Zionists who contribute to the character of the Jewish State. We all admire Rav Drukman for his many accomplishments and years of unselfish dedicated service to the Jewish people in Israel. In our letter to the media, we tried to be respectful of the Rabbi. I know that when one is critical of a Rabbi in public that could be interpreted as disrespect. We acknowledged the small potentially positive steps that he had taken but we also said that they fell short.